I have worked in the travel industry since 1987, and have experienced many changes in vacation travel since then. 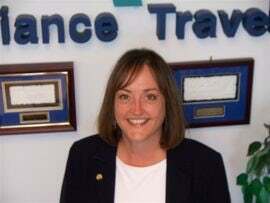 I joined UNIGLOBE in 2007 and enjoy working with the Comox Valley’s savy travelers. I specialize in helping clients looking for those unique vacation experiences, such as honeymoons, destination weddings, special anniversary trips, and adventure travel / ecotourism. I Had A Wonderful Trip!